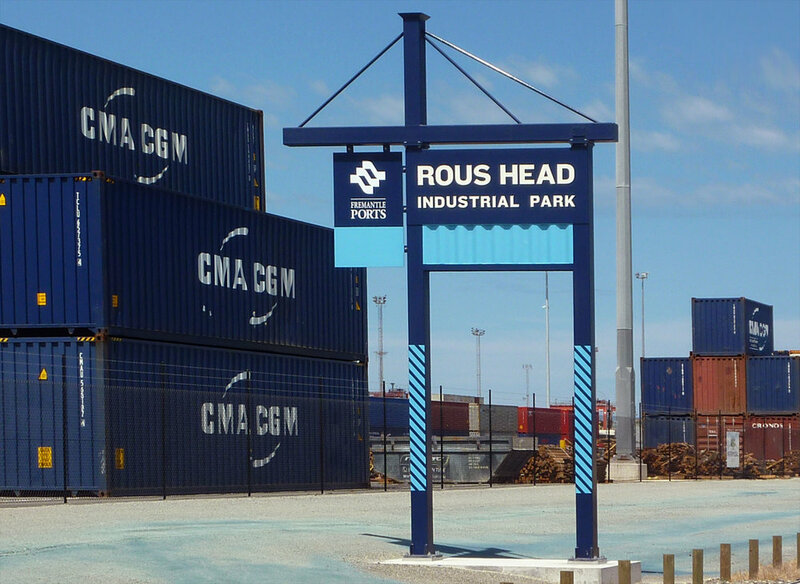 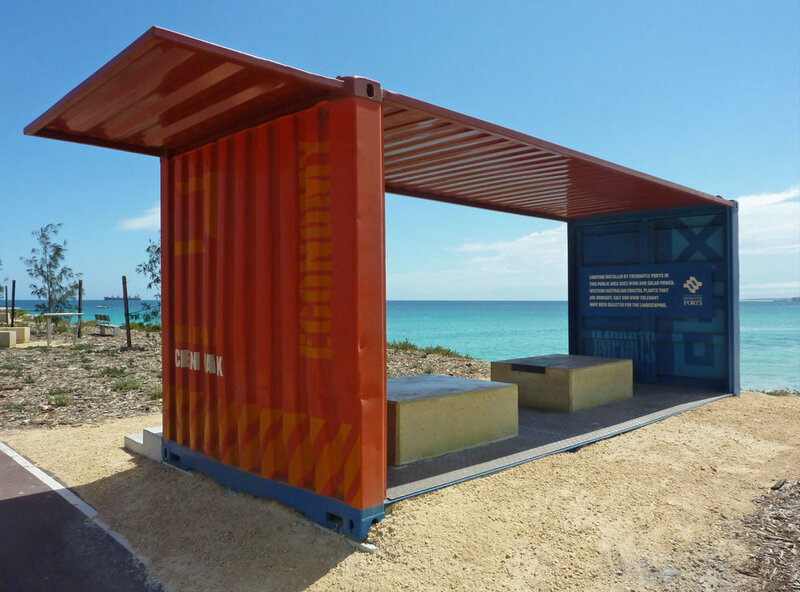 As part of the development of the Rous Head Industrial Park, Fremantle Ports constructed a striking cluster of shelters from refurbished shipping containers complemented with natural landscaping, renewable energy lighting and drinking fountains. 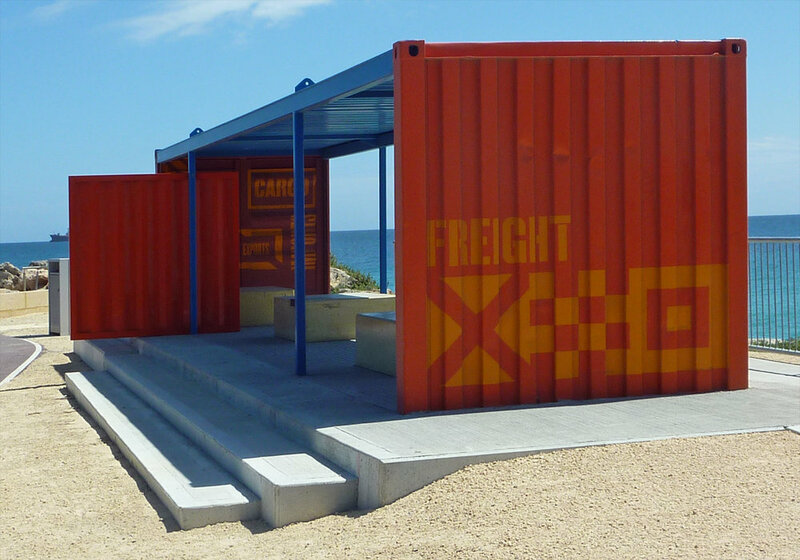 Working with landscape architects Blackwell & Associates, we applied the interpretive stories and graphics directly onto the corrugated walls in a strong maritime industrial style. 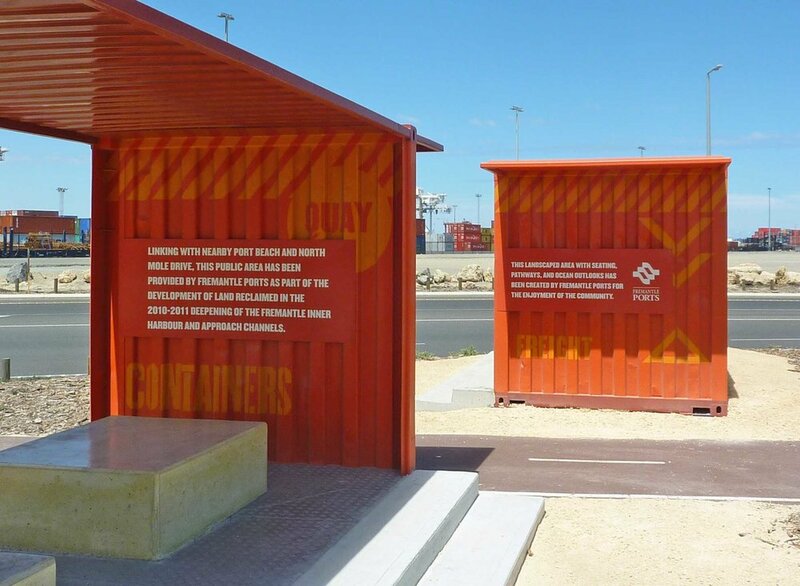 We also designed interpretive plaques that were integrated into the seating and informational signage for a sanctuary set aside for the indigenous Fairy Terns.